"Later as the US moved to rounded-cornered FHWA fonts, so did San Francisco. 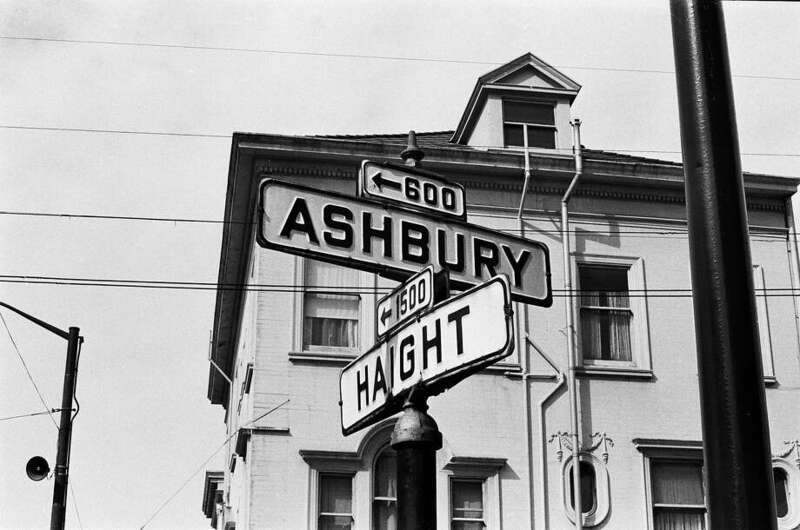 The embossed signs survived at least until 1967, as can be seen in this photo of the corner of Haight and Ashbury. Many old embossed signs are now available for purchase at the Cable Car Museum."